Will the GDPR make me a millionaire? 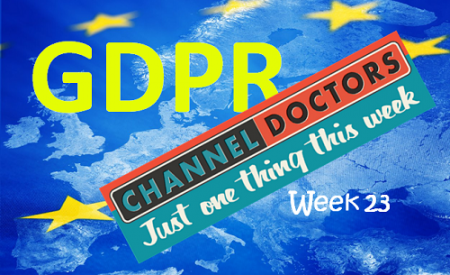 The implementation date for the GDPR is only a week away. If you have been following this series of weekly ‘Just One Thing This Week’ blogs then we hope you’re fairly well prepared – or at least know what you still need to work on. The Office for National Statistics (www.ons.gov.uk) reckons there are c.47,000 UK enterprises that employ 50 or more people. Let’s use that as a very rough proxy for the number of UK firms engaging in some sort of formal marketing and customer management/experience activities. The ICO tell us (www.ico.org.uk/media/about-the-ico/documents/2014518/annual_operations_report_201617__pecr_concerns.png) that in 2016/17 they imposed financial penalties totalling £1.9m on just 23 organisations for Privacy & Electronic Communications Regulations (PECR) infringements. The scope, volume and size of penalties imposed on errant businesses by the ICO are all likely to increase in the future (but don’t hold your breath for a 4% of global turnover fine). So, let’s imagine that next year the ICO’s fines total £5m. In which case if each of those companies paid somebody – me, for instance – a £1000 “GDPR insurance premium” annually I could guarantee to pay any fines. And pocket c.£45m for my trouble. Wouldn’t that be a lot less hassle all-round for everybody? The odds of the ICO coming knocking and going on to fine an organisation are infinitesimally small (Ok, less than 0.05% according to my crude calculations) so why don’t we all just insure against the risk? In fact that last point may be the crucial flaw in my genius plan. Shame. But if it would work, wouldn’t that be a great solution to the GDPR problem?